Today's Yap is a mix of strong traditional values and modern life – Yapese have maintained their traditions and can boast the most intact culture in Micronesia, with first world growing pains. This is the land of stone money, magic and people living in two time periods simultaneously. From the taro patch to the government office, the mixing of worlds is visible and can be felt. The new world brings new roles to everyone; leaders, students, workers and business owners, even police officers live a traditional lifestyle, with a first world schedule. 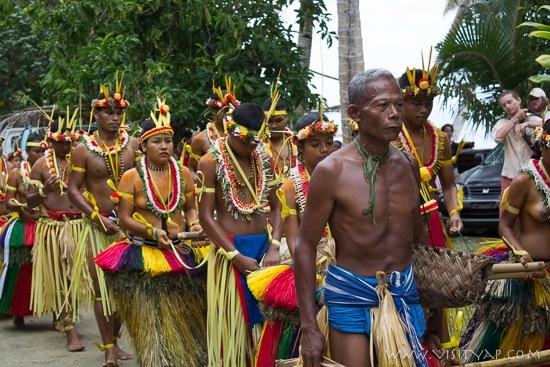 The community role is still present in Yap, everyone learns the basic skills, dances, sustenance living, has a role in their village and some get up for a full day's work at a shop, desk, car, office or store. 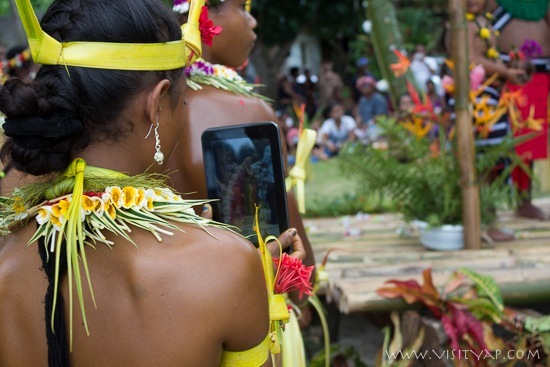 Yap is unique with it's combination of community-based living while coming online with the modern world. 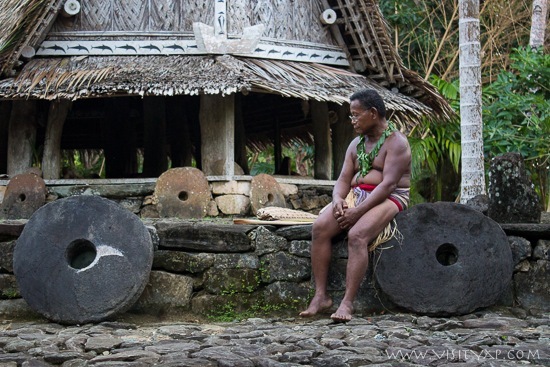 People of Yap honor both lifestyles and mitigate the mix through the vision of today's leaders – Yapese aren't simply going to drop their culture and take up new world ways. While there are two ways of life here, the traditional community values are still stronger than modern lifestyle performance expectations – when a community member has to gather or work in the village, it's automatic and everything else will wait. Men make community decisions and carry them out in traditional roles, and perform similar duties at an office or business during working hours. The traditional role for women is taking care of the children, the elderly, the ill, all things food and nourishment, sustenance farming, clothing, teaching this to the next generation, and they are members of the modern workforce. As today's roles become more and more a part of traditional living, Yapese preserve their culture by maintaining a balance with nature while taking on modern values. Instead of young boys hanging around the Men's house learning traditional skills, they spend more time in school, going to church and engaged in youth programs, sports or activities. Local programs support the preservation of traditional knowledge, food, oral history, medicine and gender-based skills. Traditional food, dance, crafts, construction, clothing and history are still part of the modern child's life along side homework, bible study and soccer practice. 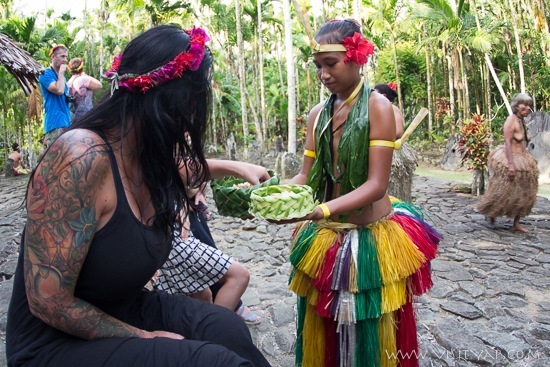 Experiencing Yapese culture and traditions is when the mix is most visible and can be felt. A college teacher walks dancers to their performance area and introduces the dance with the song's history, in English – song and dance are how legends and oral history are passed down through the generations. Dances are hundreds of years old and were choreographed based on events telling Yap's stories of times long before the first colonization. As hibiscus skirts whip through the air, a firefighter and restaurant chef strike bamboo sticks during a war cry, recognizing the time when Yap had tribal conflict. This is a time and place where ancient human traditions are alive and being practiced in concert with a present lifestyle and even social media status updates. All of Yap's traditions, history, knowledge, medicine and magic is held in it's people, some of whom drive to the office everyday. There's little to no separation between traditional and today's role in the Yapese lifestyle – outside of the local storefront a man in a thu (traditional attire) talking to people is an elected government leader – an small business owner who works in slacks and a button-up shirt made his coffee over a coconut husk fire. This is the very fringe of the new world grid, while there's free WiFi at a resort's infinity pool, across the street are outdoor kitchens and stone paths. The mix of today and yesterday is unique, visible and welcoming to outsiders. As a tourist you can experience as much or as little as you want. The opportunity to see and engage it exists for everybody, from stone money, the villages to traditional attire and sometimes ceremony. 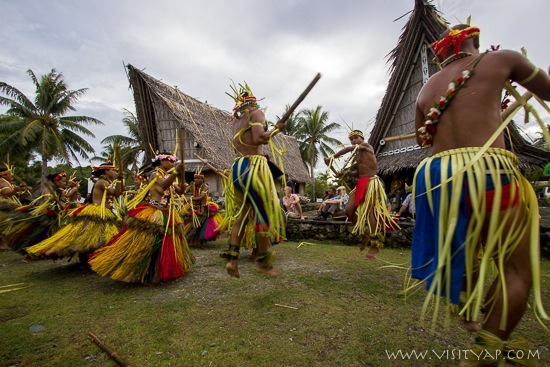 Yap is very special with it's culture and traditions that welcome visitors and cater to the curious.